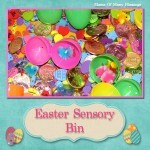 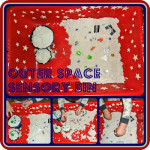 Sensory bins is something the younger boys and the bigger boys love using. 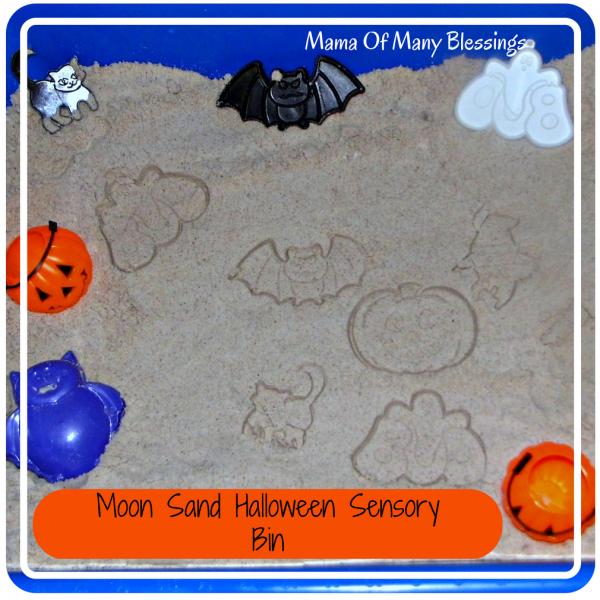 So I decided to make a halloween sensory bin using DIY Moon Sand. 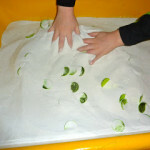 We have tried to make “cloud dough” before using flour and baby oil which worked, but made a very big mess!! 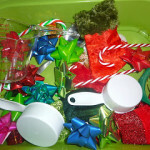 So this time I decided to add sand to it hoping it would be less messy. 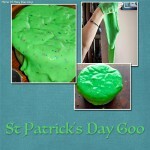 I was right, and we will be using this recipe in the future for other batches of Moon Sand. I will give you the measurements we used to make our Halloween Sensory bin with DIY Moon Sand. 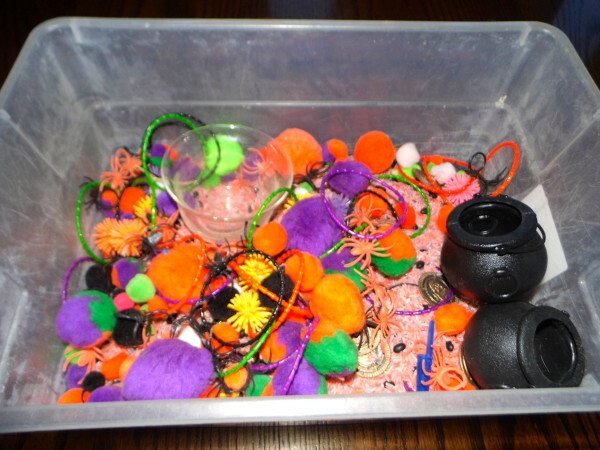 We made a very large batch for our sensory bin and you will want to change the measurements according to the space you have available. 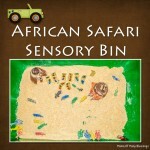 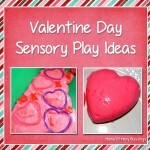 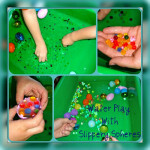 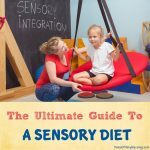 Mix all ingredients in your sensory bin until everything is mixed well and the sand can easily form, it’s that simple. 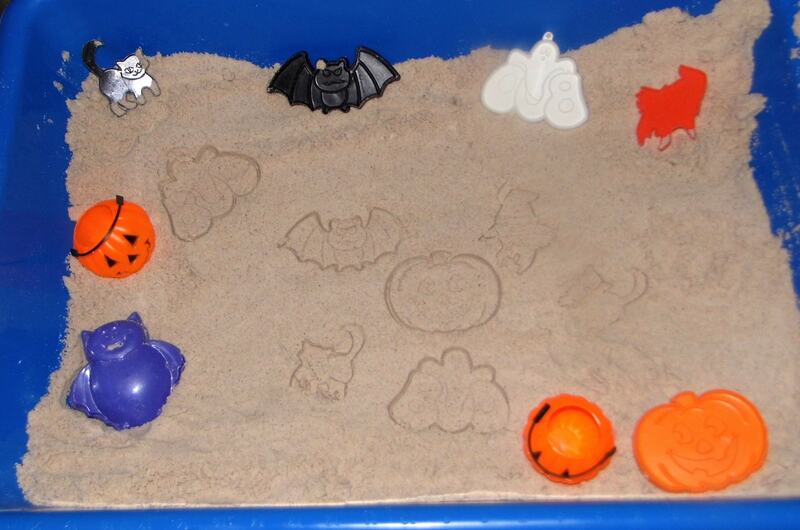 We added some cookie cutters, a couple halloween sand molds, and a couple pumpkin buckets. 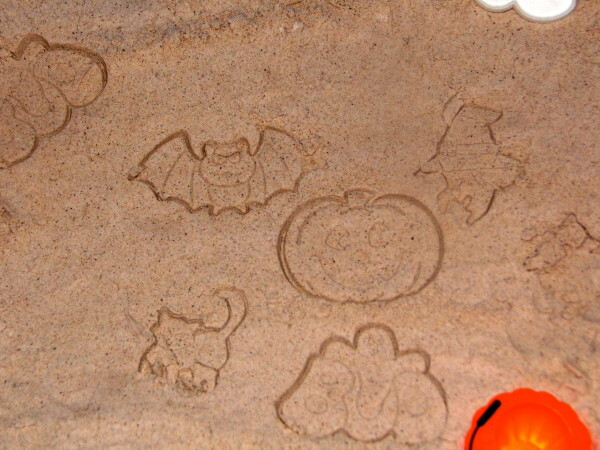 The cookie cutters make wonderful impressions in the moon sand, and the sand molds came out great as well. The moon sand is very much like the kind you would purchase for quite a bit of money and is easily moldable and it only cost a couple of dollars to make. 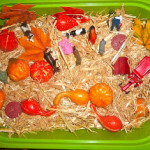 The boys have really enjoyed this Halloween sensory bin and I’m sure it will be used for a while. 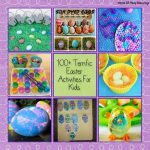 To see all of the Halloween Ideas for kids and Halloween recipes stop over to my Halloween Ideas For Kids page. Each year we pull out our Halloween Sensory bin made with dyed rice and black beans. 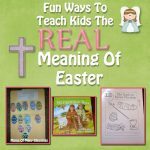 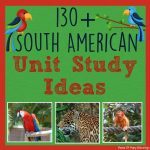 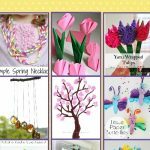 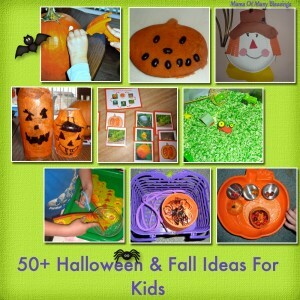 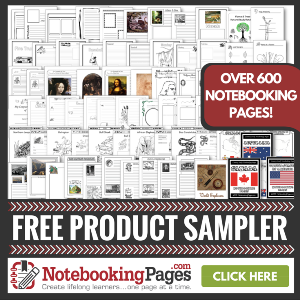 There is over 50 Halloween ideas on one of our posts from last year on my post of over 50 Halloween and Fall Ideas. 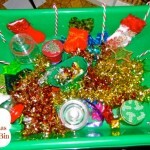 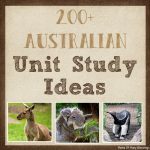 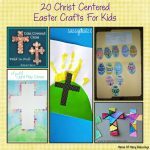 For other great Halloween ideas stop over and see my Halloween Ideas For Kids Pinterest board.